Celebrating their 6th anniversary, Marcella’s Kitchen has served 100,000 meals since opening. 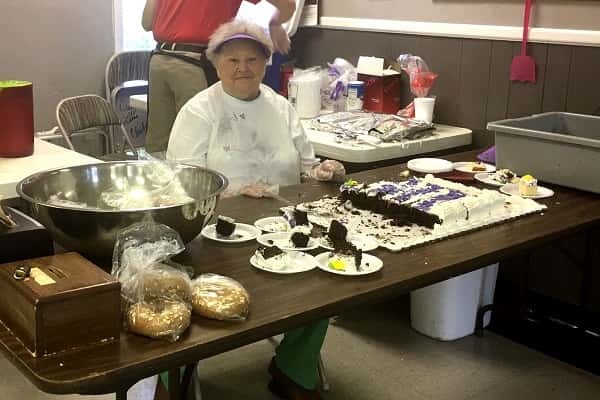 A delicious meal along with a sixth anniversary cake, was served to a packed house of grateful residents Tuesday and with the hope of a new permanent location, they plan to serve many more. Building funds have been established at CFSB in the form of CDs and a checking account at Regions Bank in c/o Marcella’s Kitchen, P.O. Box 272, Benton, KY. 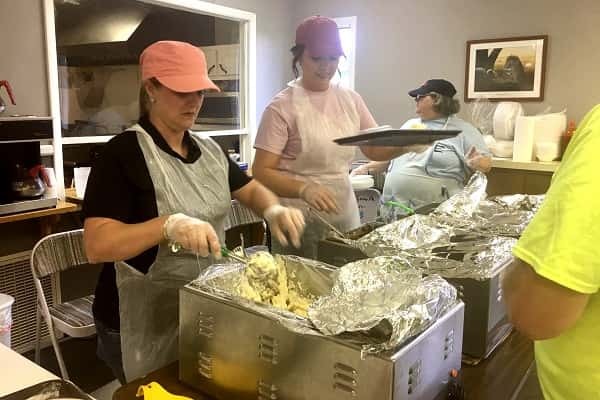 Located at 242 Griggstown Road, the kitchen provides not only offer a nutritious, delicious meal, but the Marshall County Extension Office offers a “Healthy Choices for Everybody” program by Jennifer Frazier, Nutrition Education Program assistant, who is on site at Marcella’s Kitchen three to four times a week. The program is designed to teach about nutrition, dietary guidelines, meal planning, budgeting and much more to educate about the importance of proper nutrition. The program, free of charge, requires those enrolled to attend seven lessons, all of which can take place at Marcella’s Kitchen. Participants receive a free kitchen utensil and certificate of achievement upon program completion. The 2017 Empty Bowl Project to support Marcella’s Kitchen will be Saturday, Sept. 9, and a Paint-a-Thon will take place on Sunday, June 4 from 1-5 p.m. at Funky Monkey Pottery Company at 395 US-Hwy 68 W in Draffenville. Cost will be $10 per bowl, and proceeds will benefit Marcella’s Kitchen. Marcella’s Kitchen served a celebration cake commemorating the 6th anniversary.